A federal election issue? 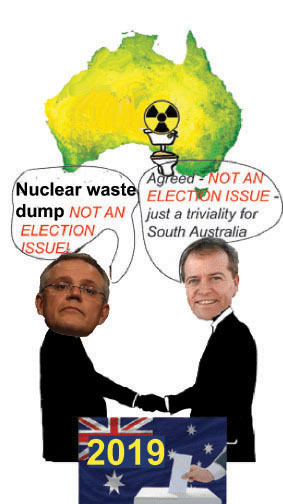 Future management of Australia’s nuclear wastes? Its pretty obvious to most that the nuclear industries continued efforts to sell the benefits of nuclear only serve to attempt to keep the public’s eyes off the concern of what you do with the WASTE. The next example of “Smoke and Mirrors” is to say that Papers have been written about the issue of waste so that’s supposed make it OK. It borders on offensive the arrogance these people convey. Rather than persisting with continually wiping the egg from their faces by defending the indefensible, I have wondered why they don’t invest their efforts into solving the waste issue safely. I have often considered that if the pharaohs used Nuclear, we’d still be looking after the waste today. Could this be a Federal Election issue now?